Prominant LGBTT activist Walter Tróchez was assassinated by gunmen in Tegucigalpa on Sunday, marking the 10th murder of a gay or trans activist since the June 28 military coup. According to journalist Dina Meza, police did not visit the scene of the killing until more than 12 hours after Tróchez was killed. Meza wrote that his murder is "being managed with all the negligence possible by police investigators." Tróchez was kidnapped and beaten on December 4, but managed to escape. According to sources close to Tróchez, police did not investigate the kidnapping. 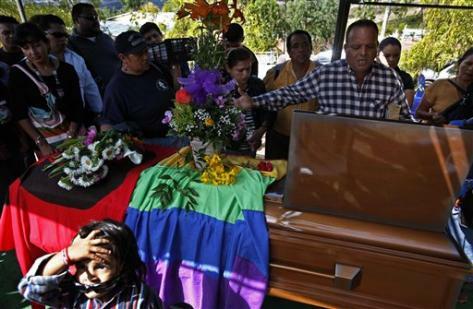 » continue reading "Honduran LGBTT activist and coup resistor Walter Tróchez killed "
A postal worker is facing disciplinary action after refusing to deliver a homophobic pamphlet. Gwalgen Geordie Dent investigates. Martin Calls Civil Unions "Acceptable"